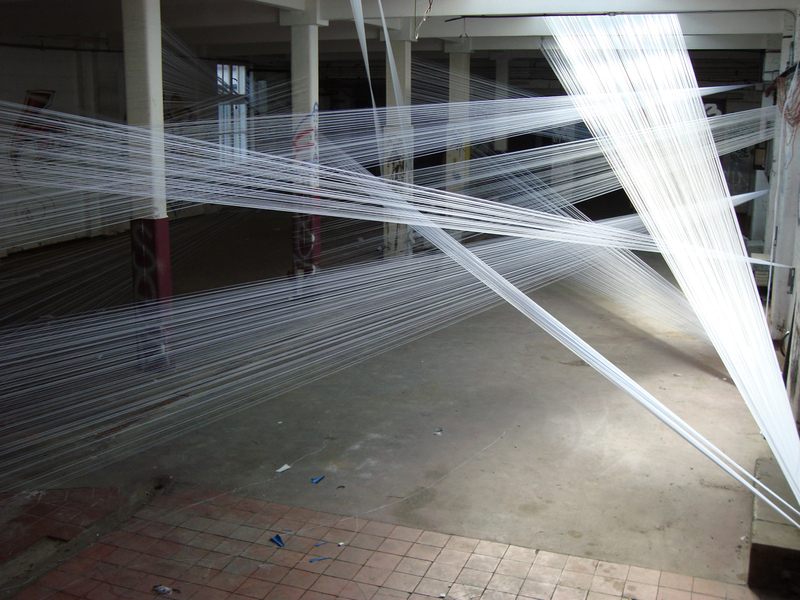 A site-specific installation derived from the exploration of a derelict space in West London. 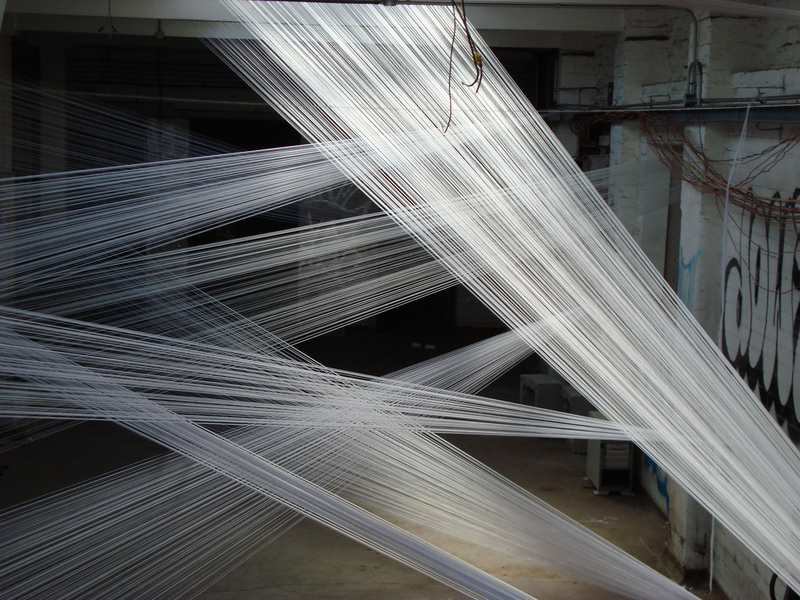 I sought to challenge the notion of invisible boundaries created by passages of light and shadow within this broken environment. 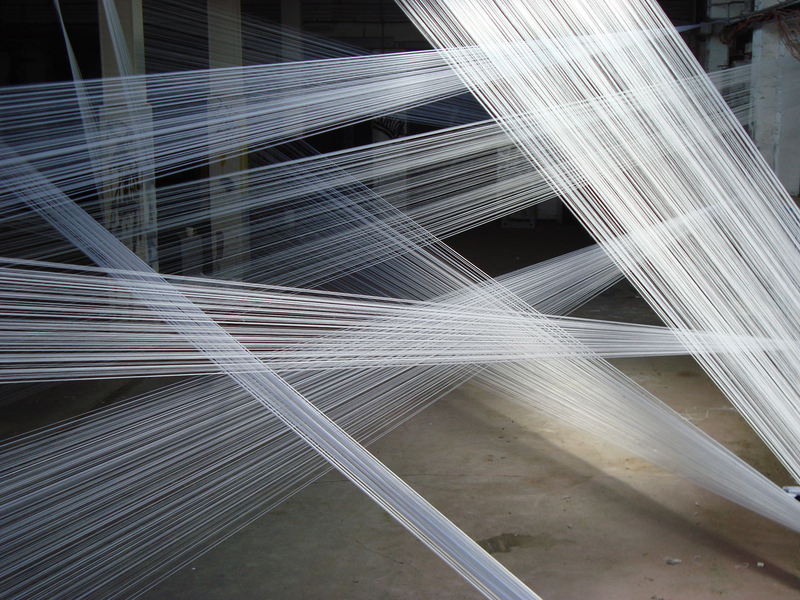 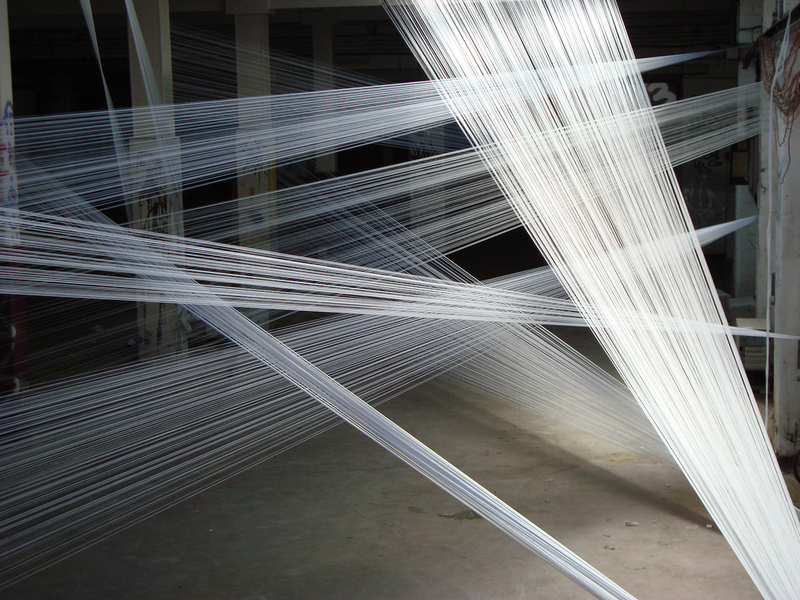 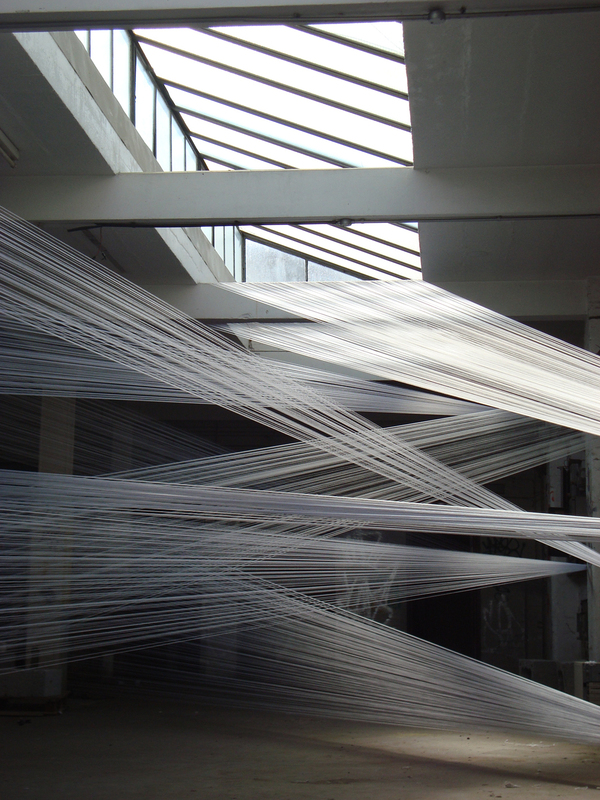 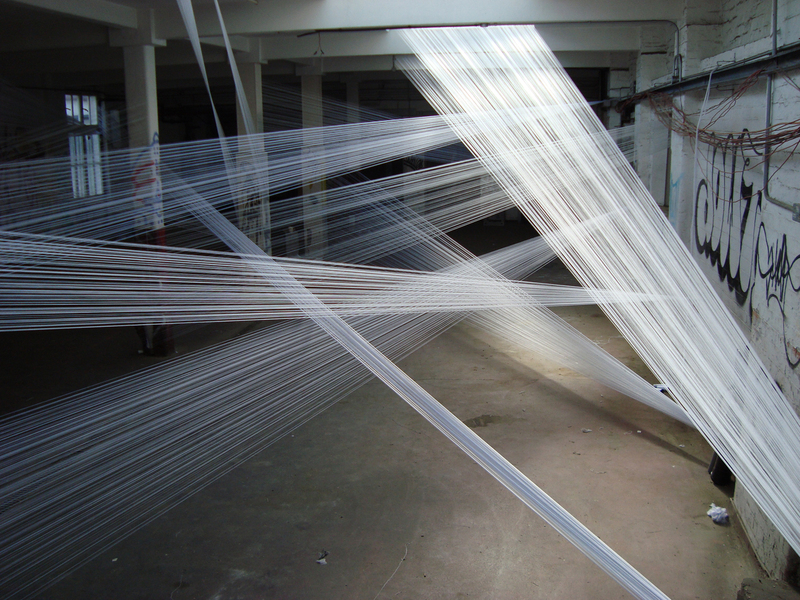 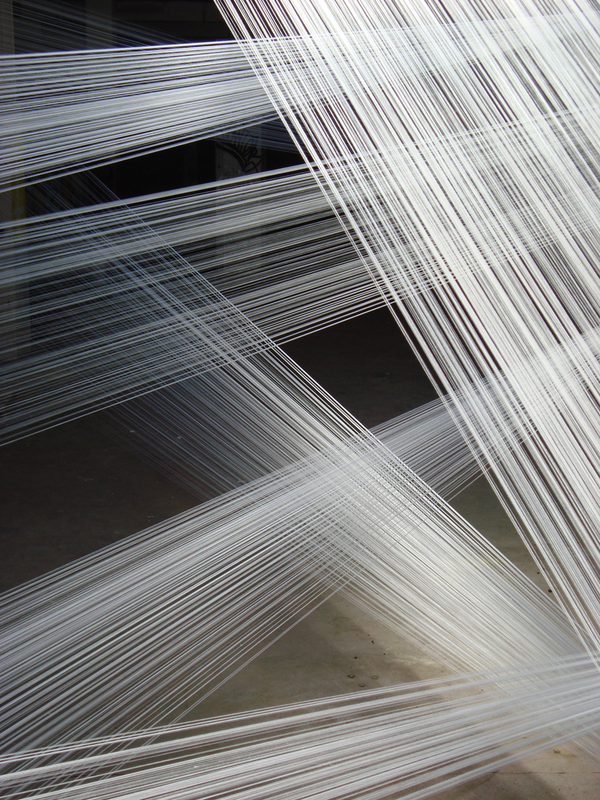 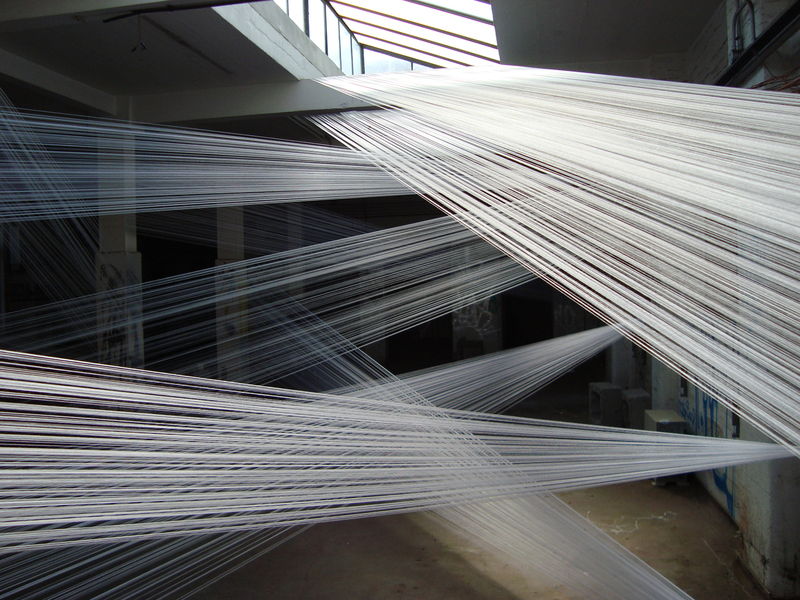 Over one hundred and fifty miles of cotton thread was used, strung between points of structural relevance, physically plotting paths of light and shadow throughout the course of the day. 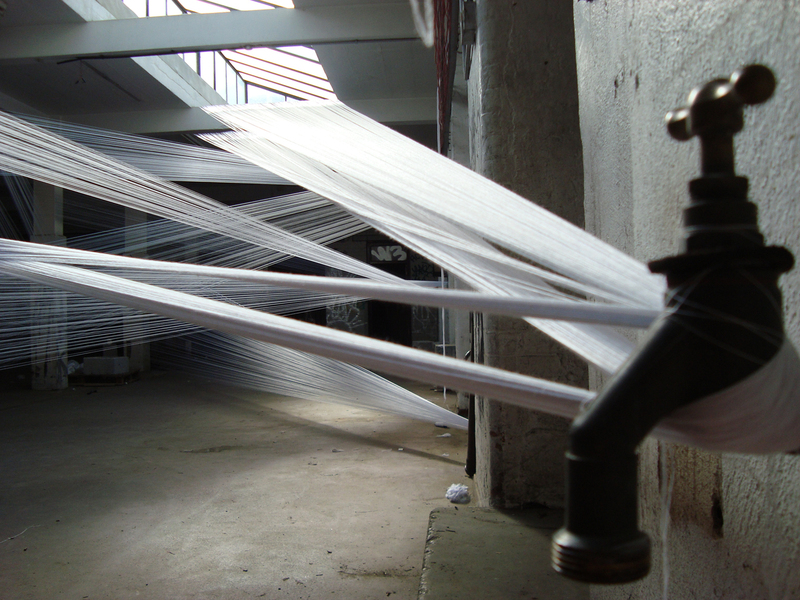 The result is the evolution of an alternative architectural landscape. 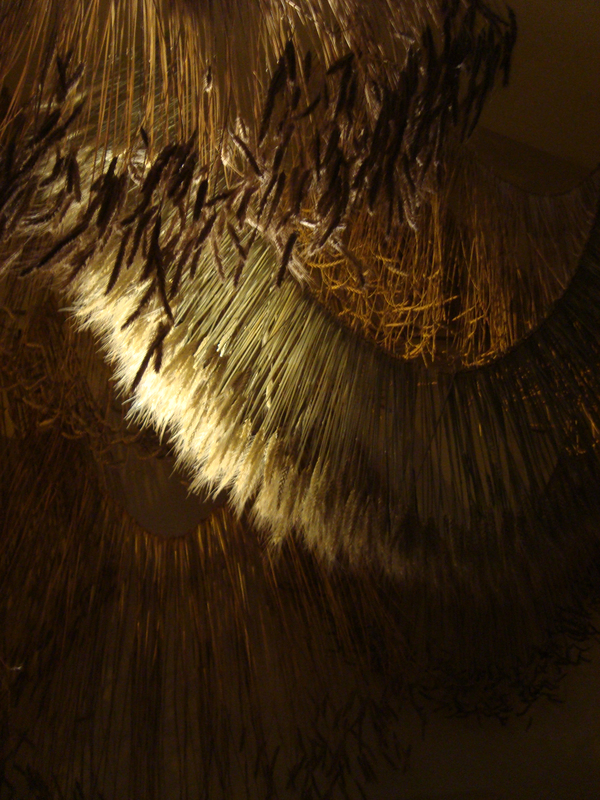 Privately commission chandelier created from plexiglass rod and a vacuum formed polyethylene base. 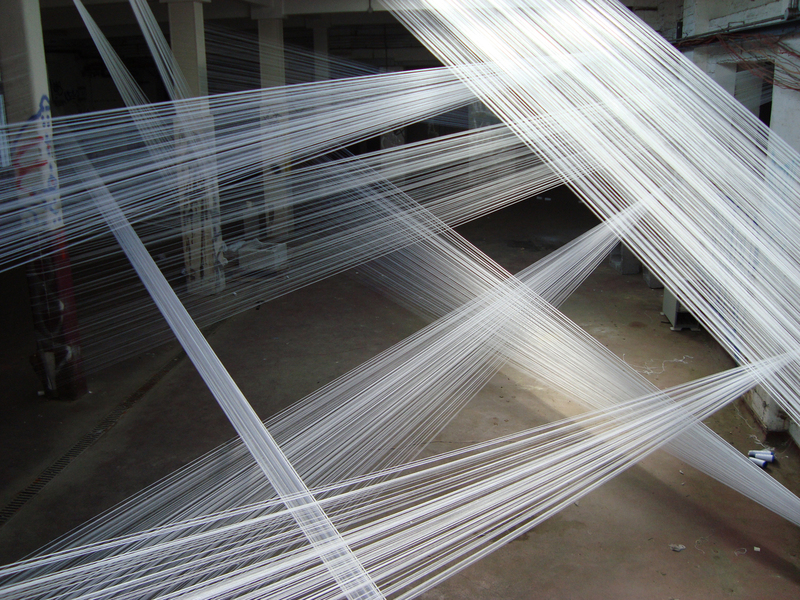 120cm (width) x 80cm (height). 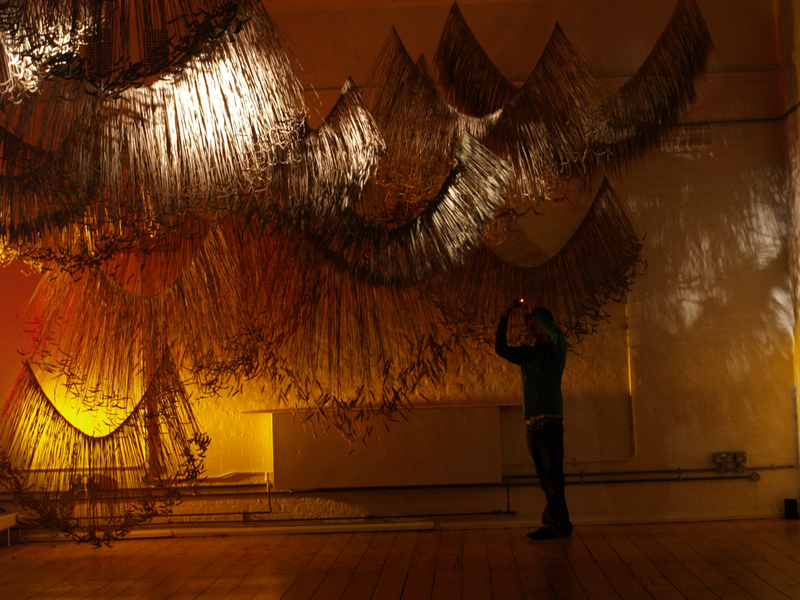 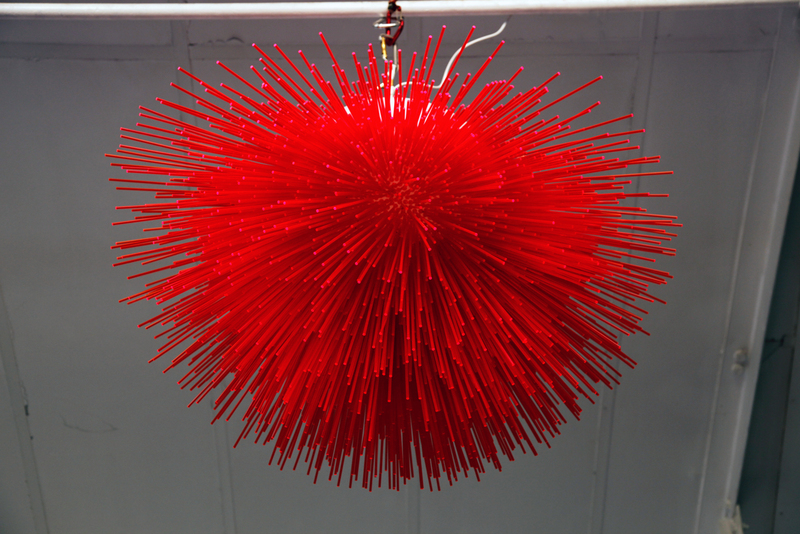 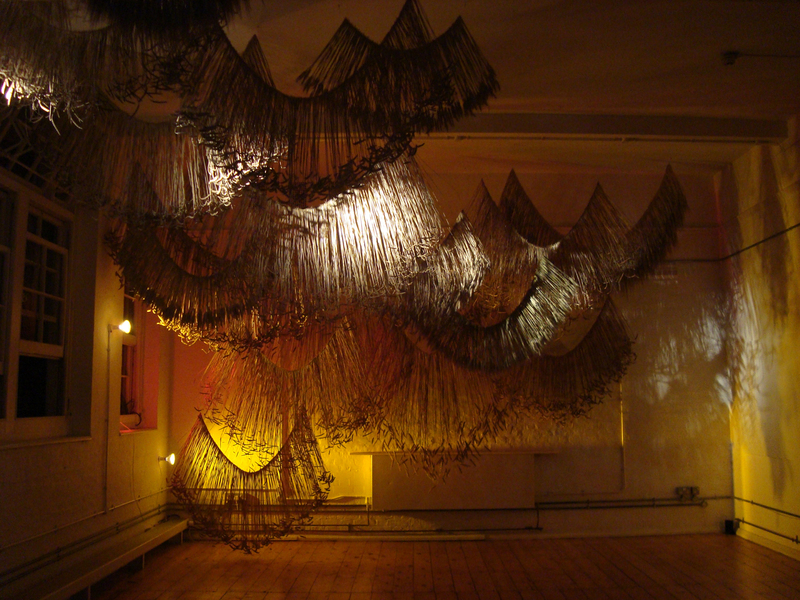 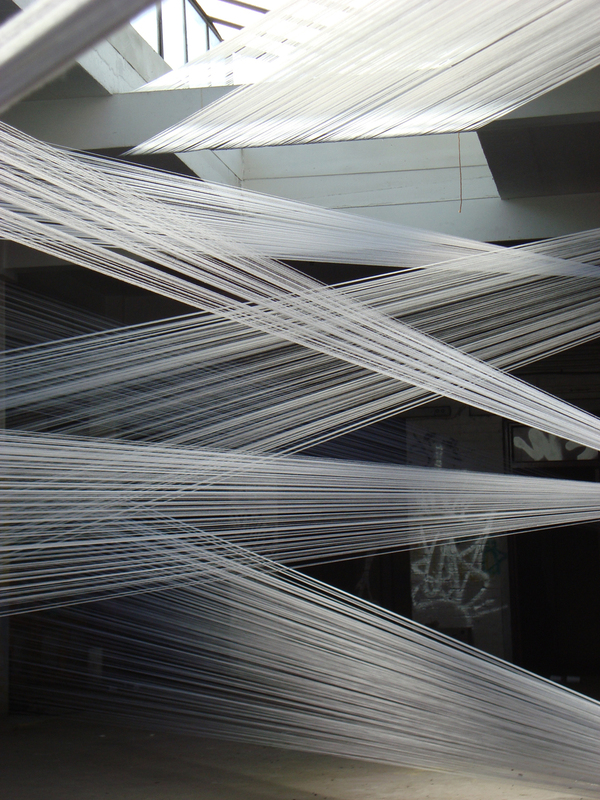 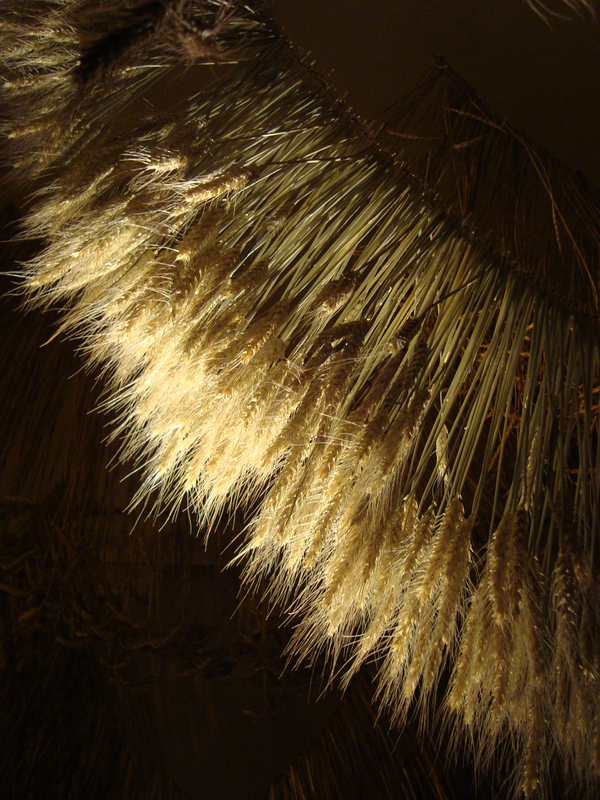 A site specific installation commissioned by Gallery Fumi for Corn Craft, London, Autumn 2009. 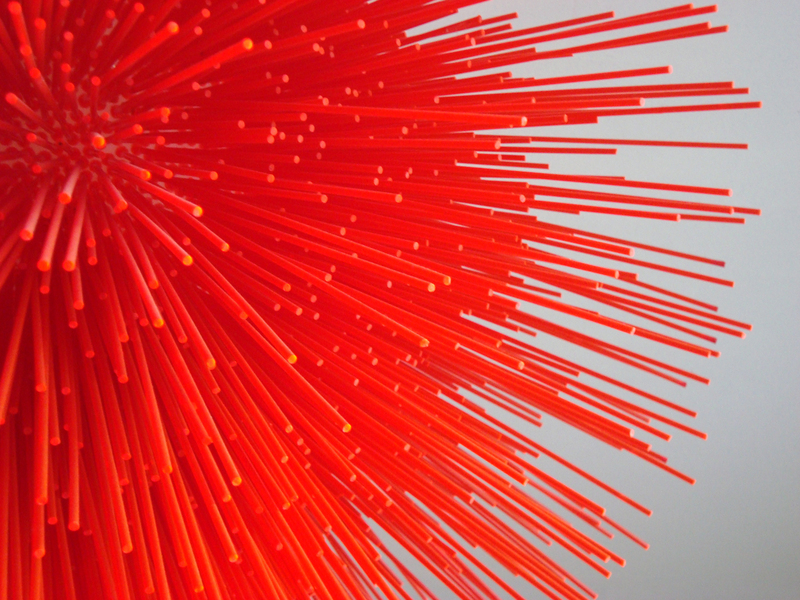 Aesthetically derived from the rolling agricultural fields found in parts of rural England, the installation utilised over 40,000 individual stems of corn linked via mono-filament line. 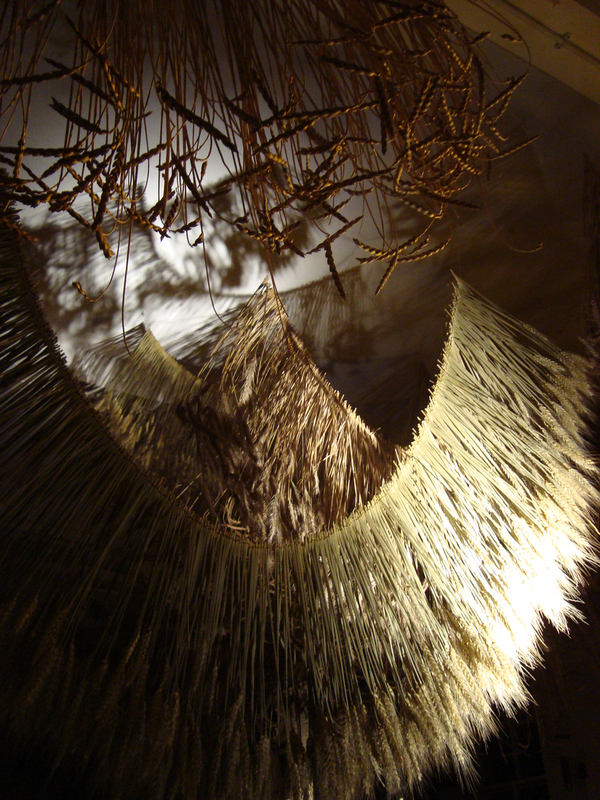 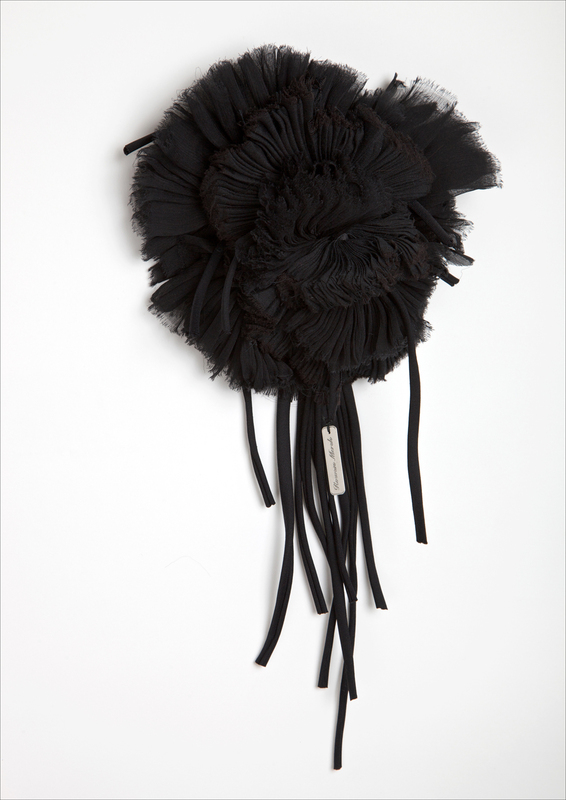 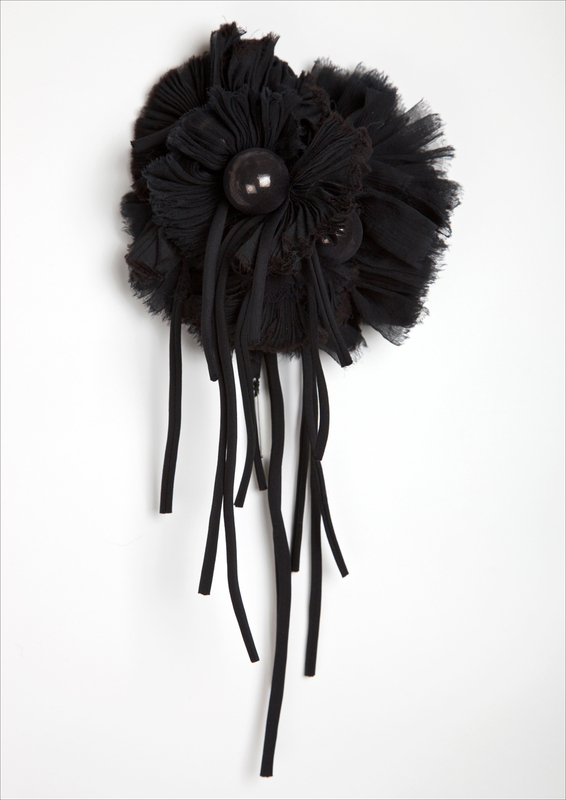 An extract from a jewellery collection presented by Rossana Orlandi at Maison et Objet, Paris, Autumn 2009. 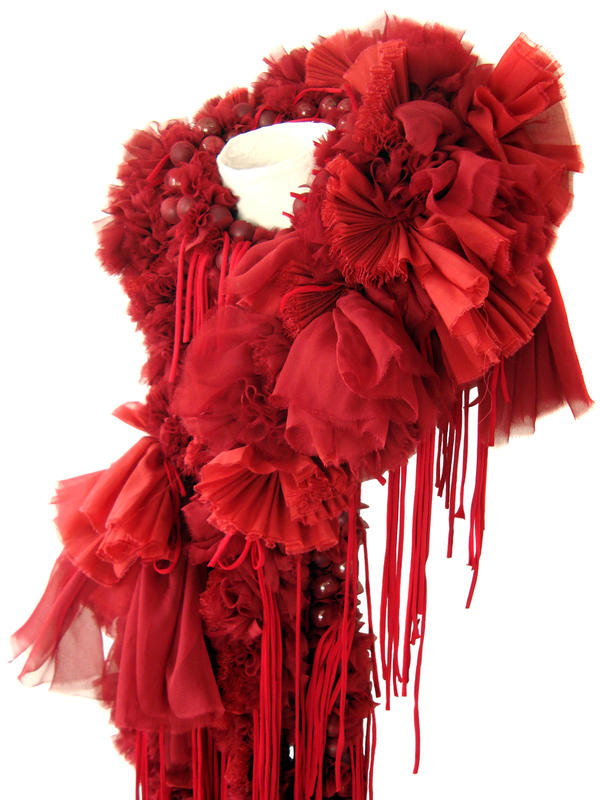 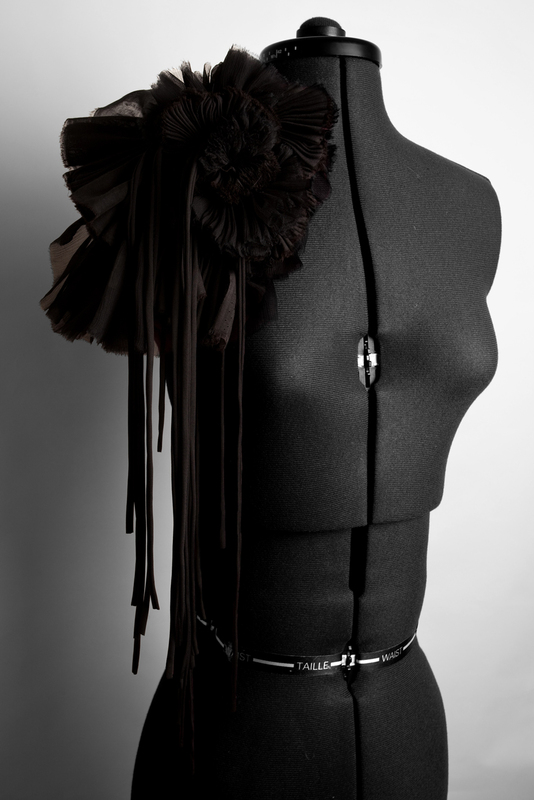 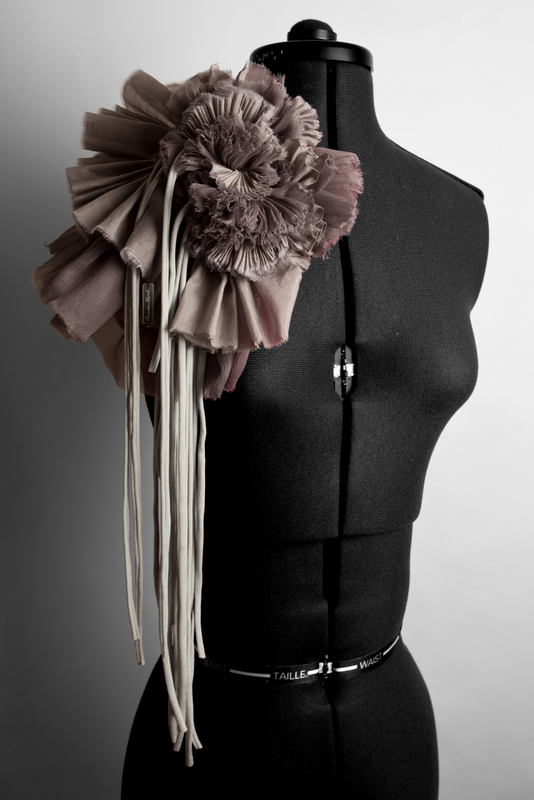 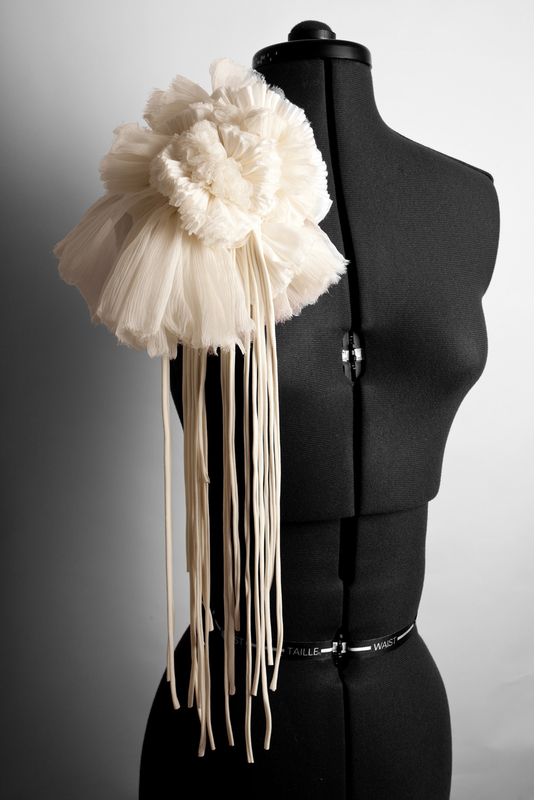 Created from various silks and jersey string. 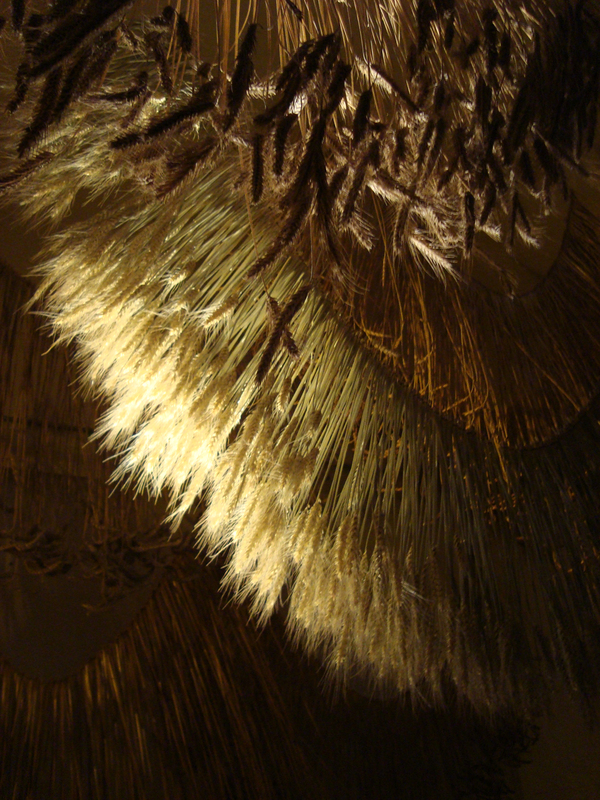 An extract from collections created exclusively for Rossana Orlandi (Milan) and Gallery Fumi (London), Winter 2009. 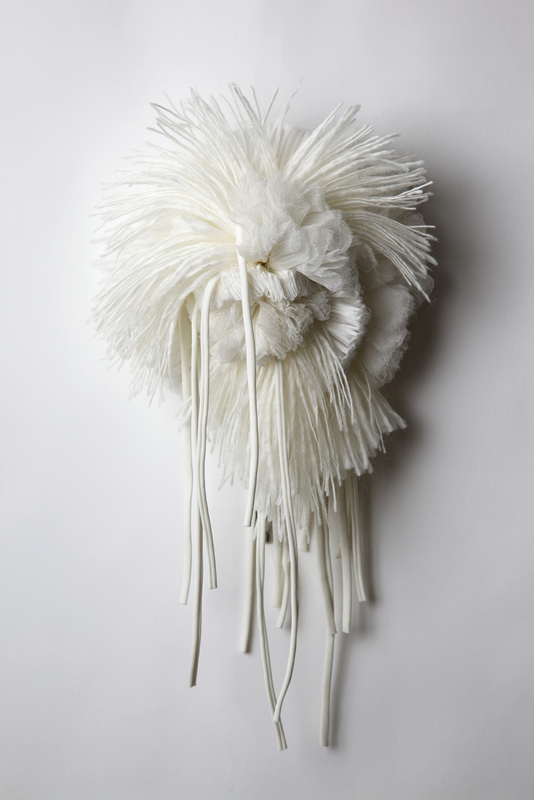 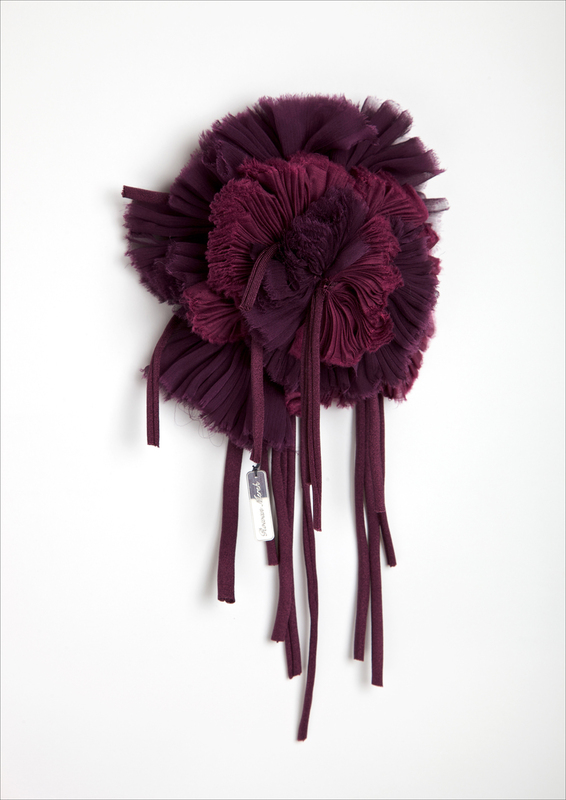 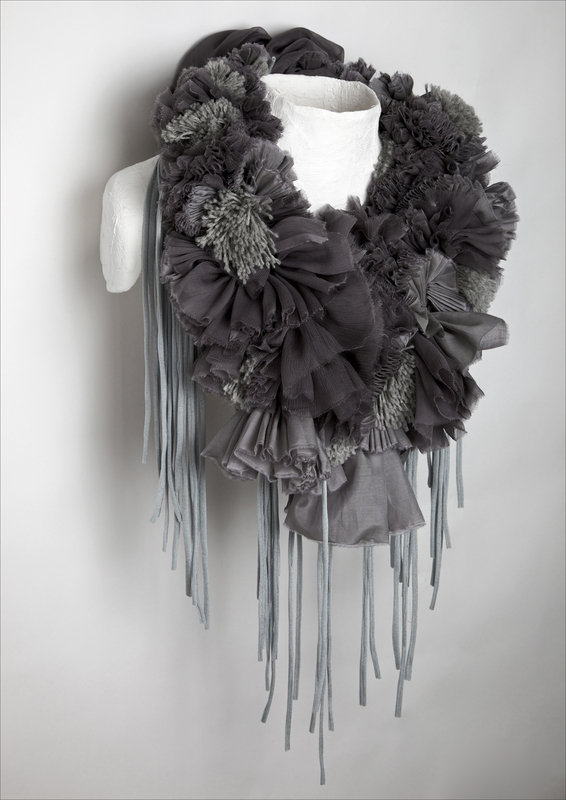 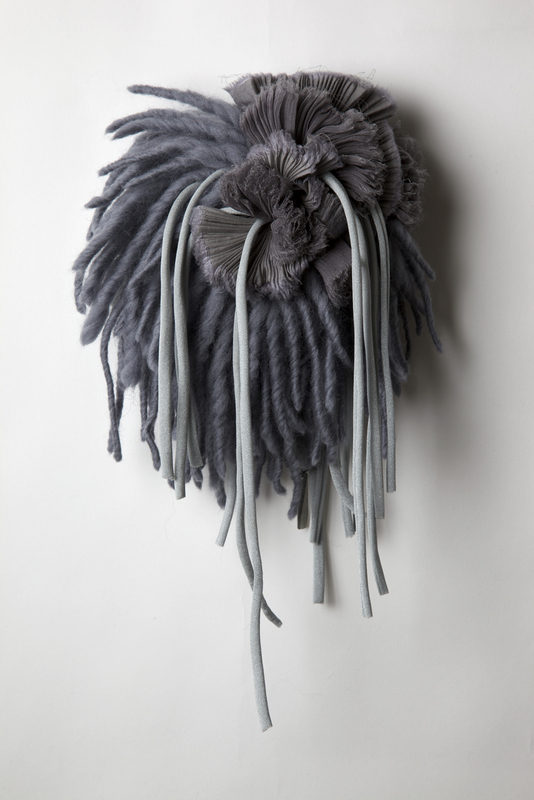 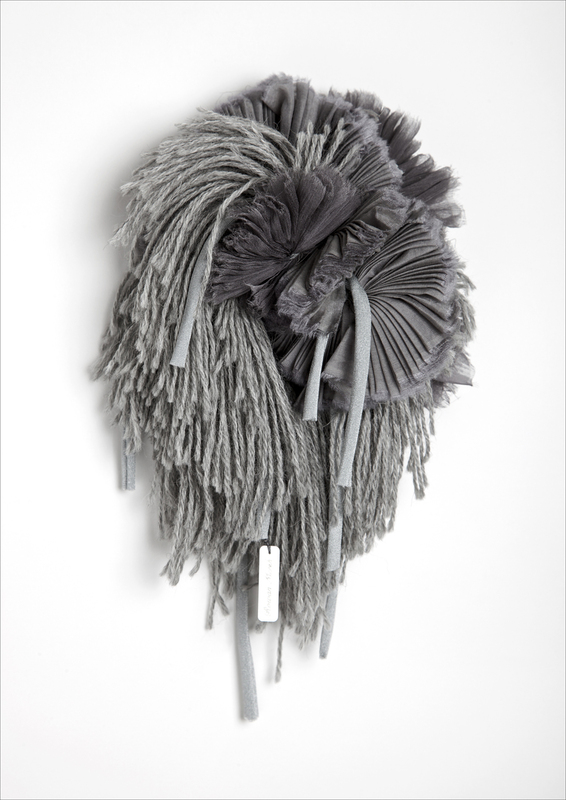 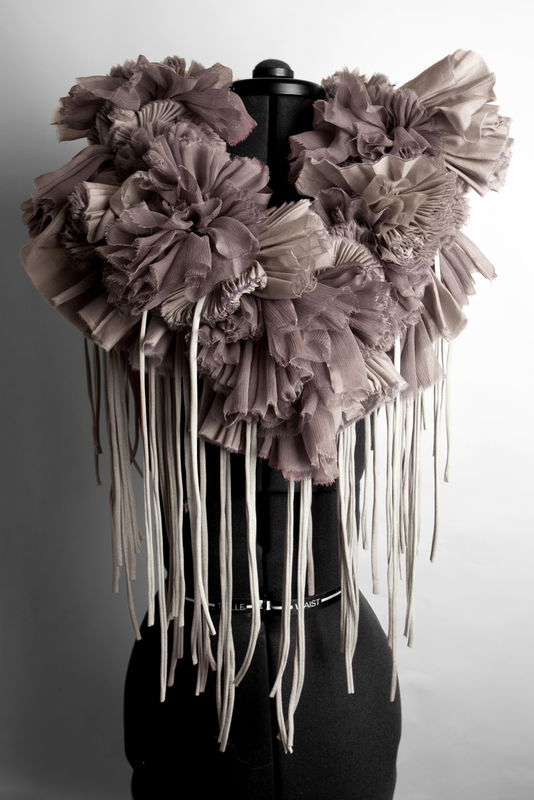 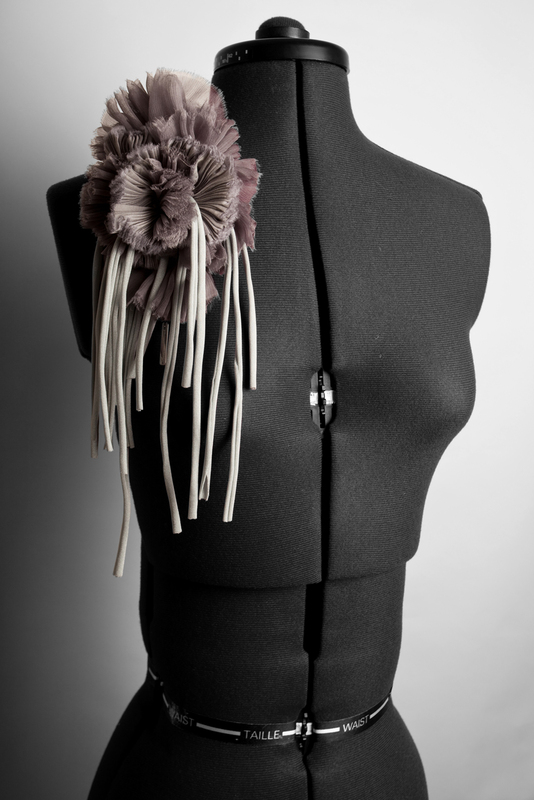 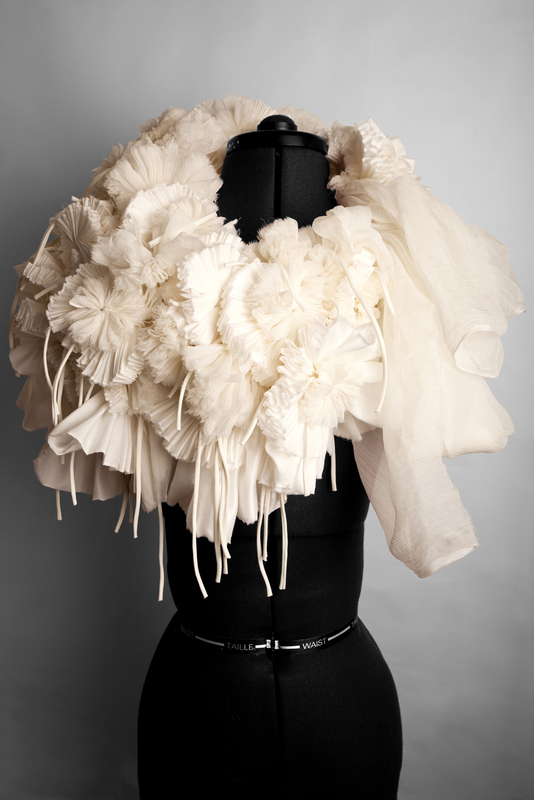 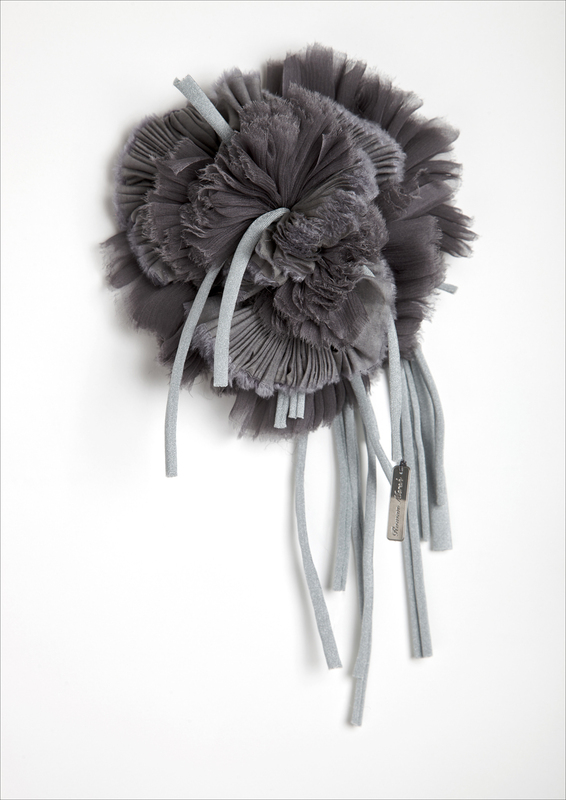 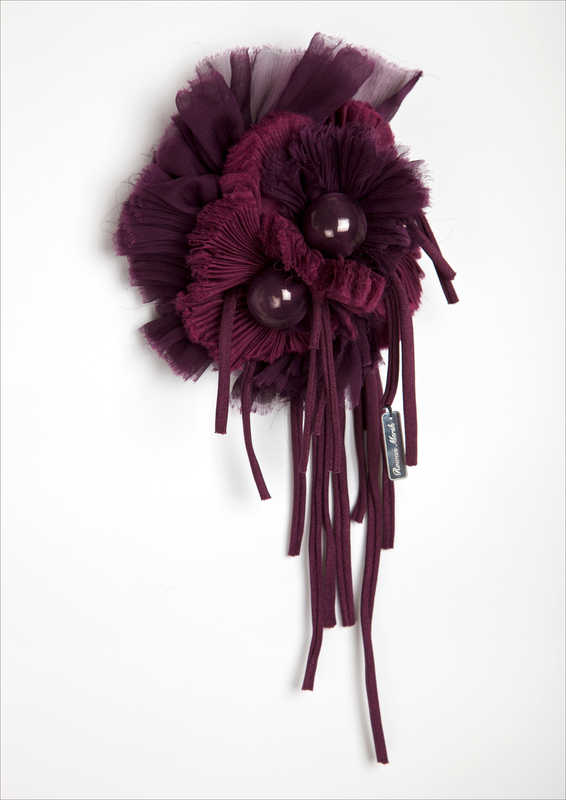 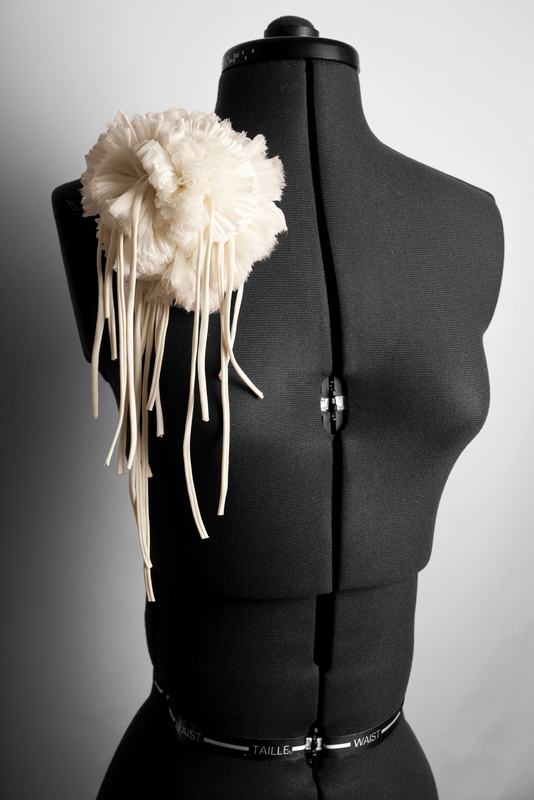 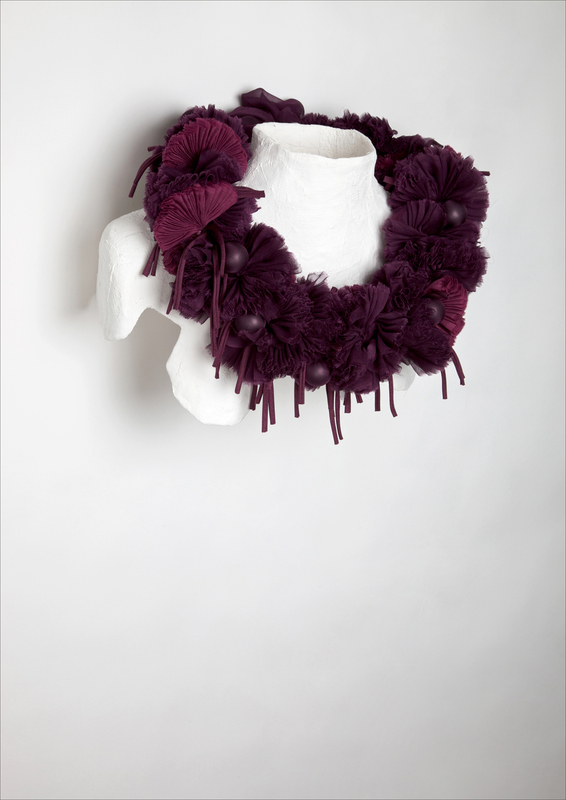 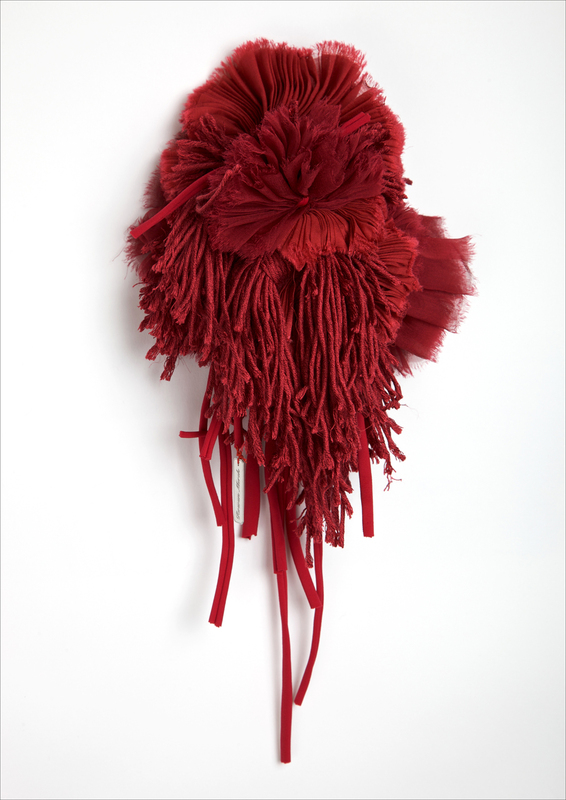 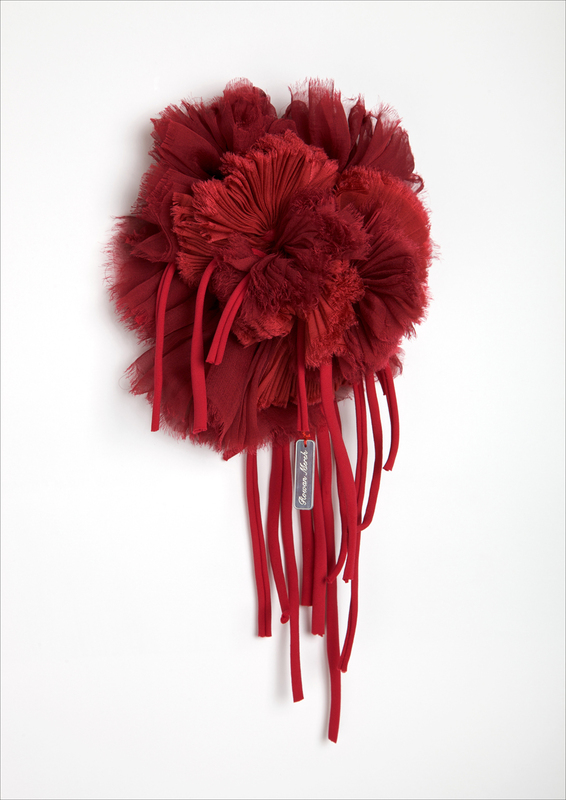 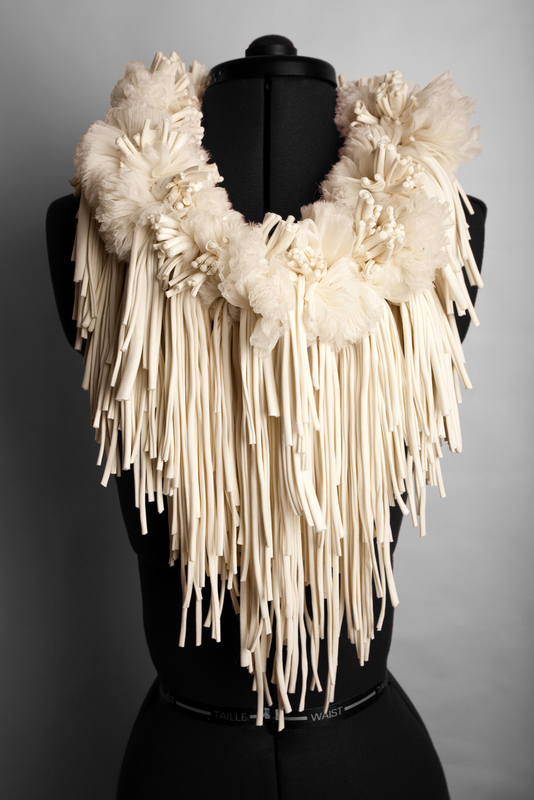 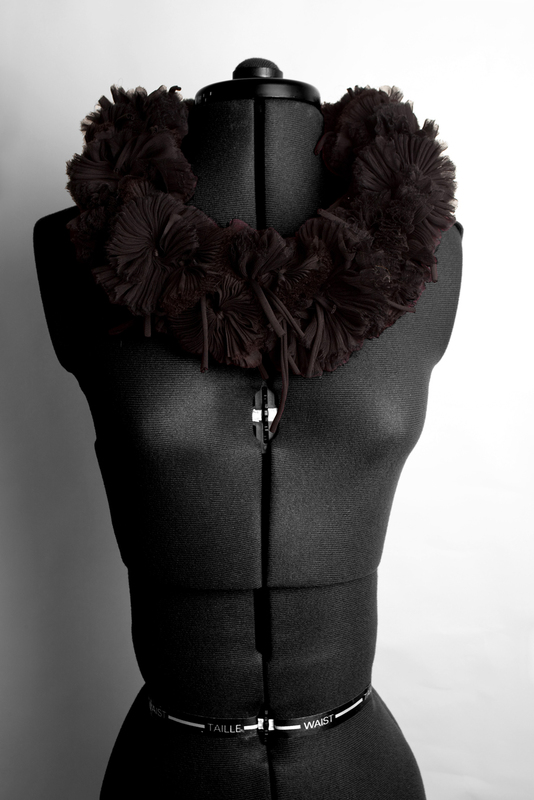 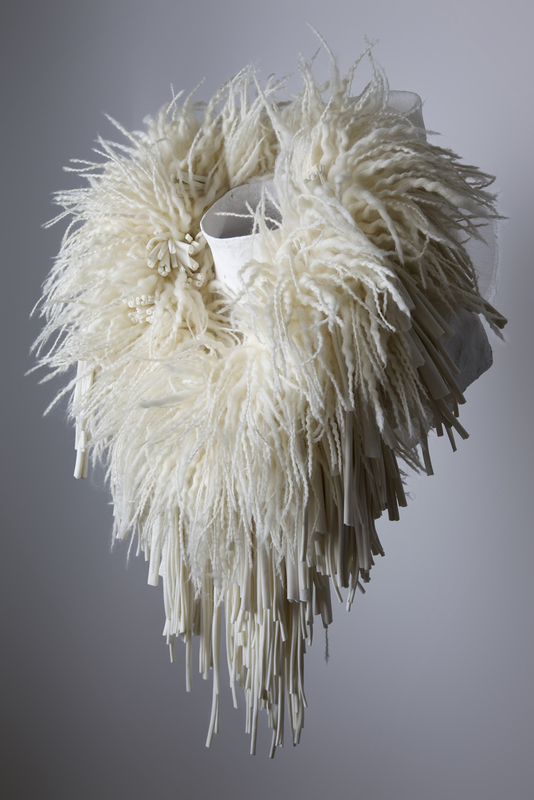 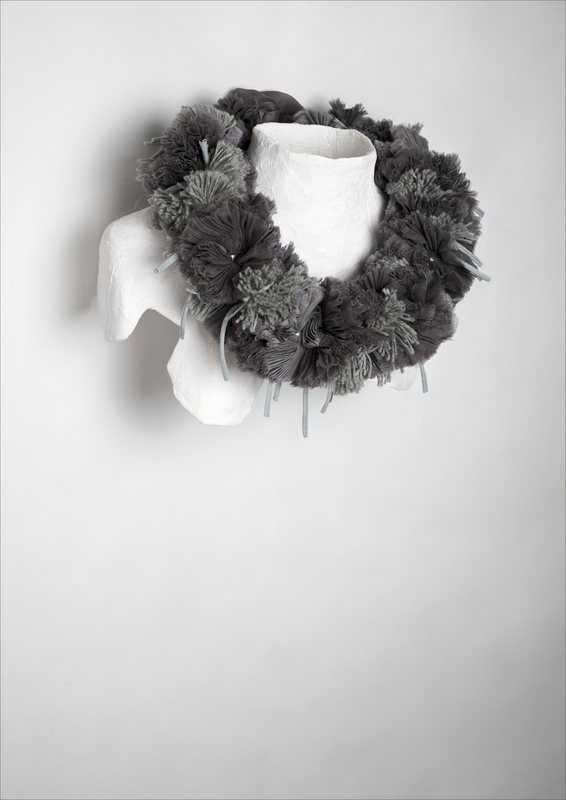 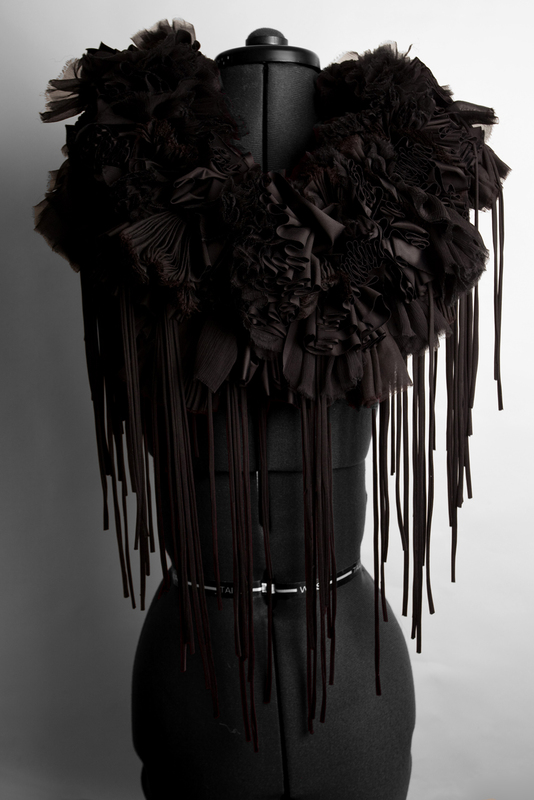 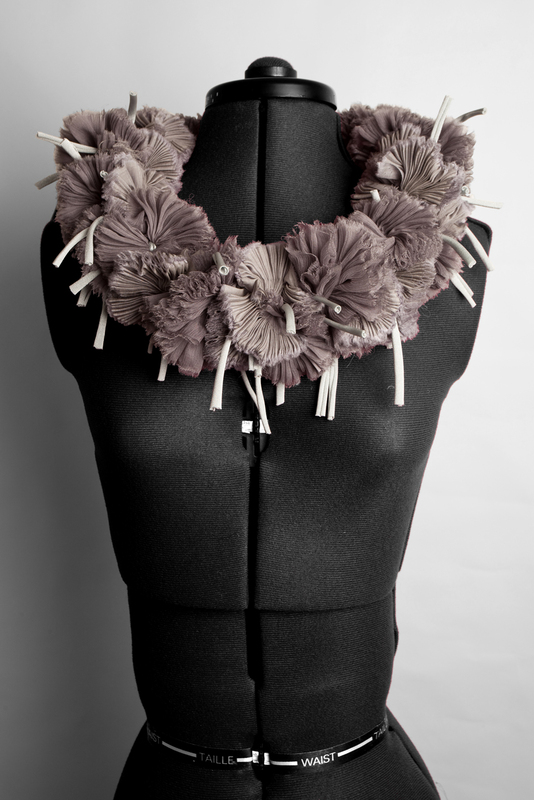 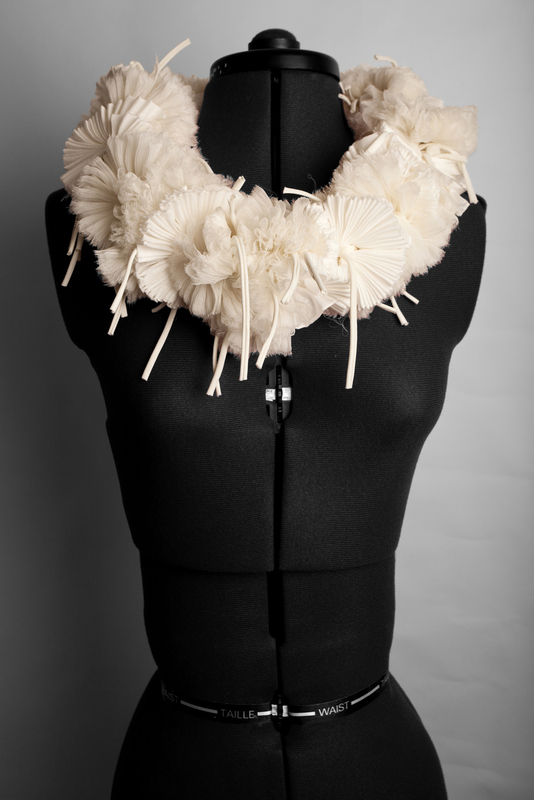 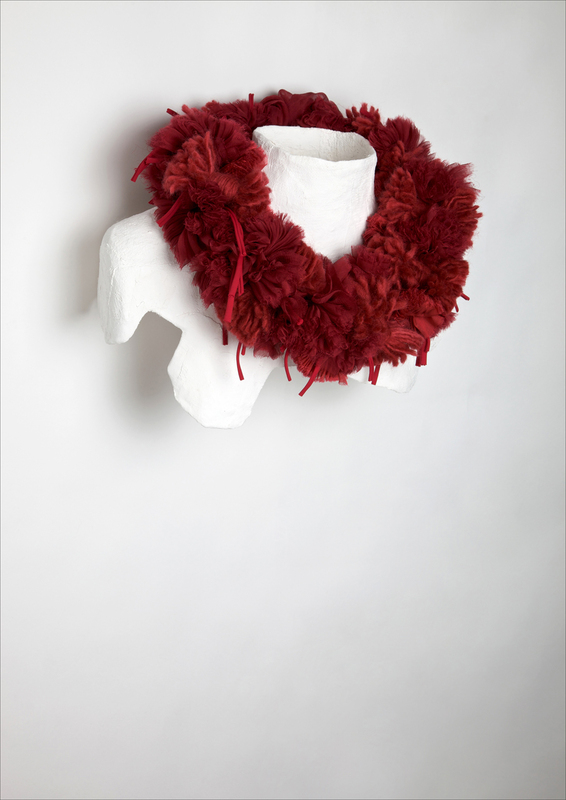 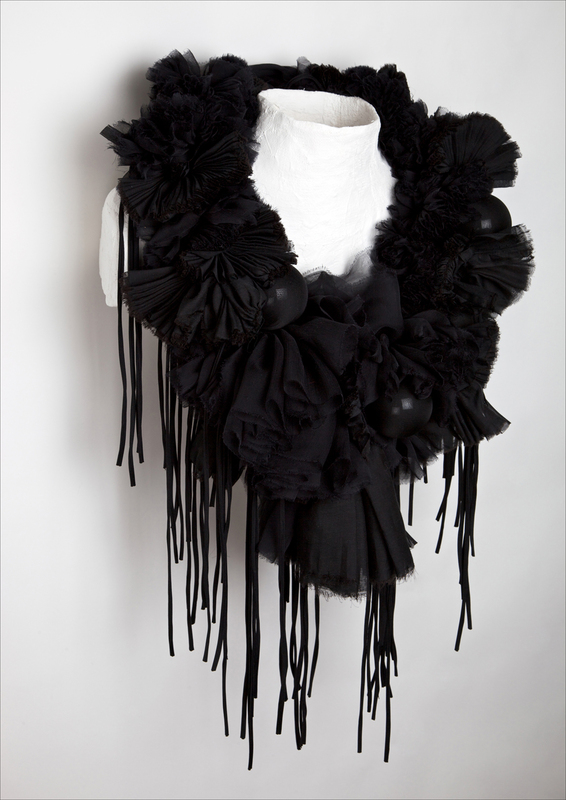 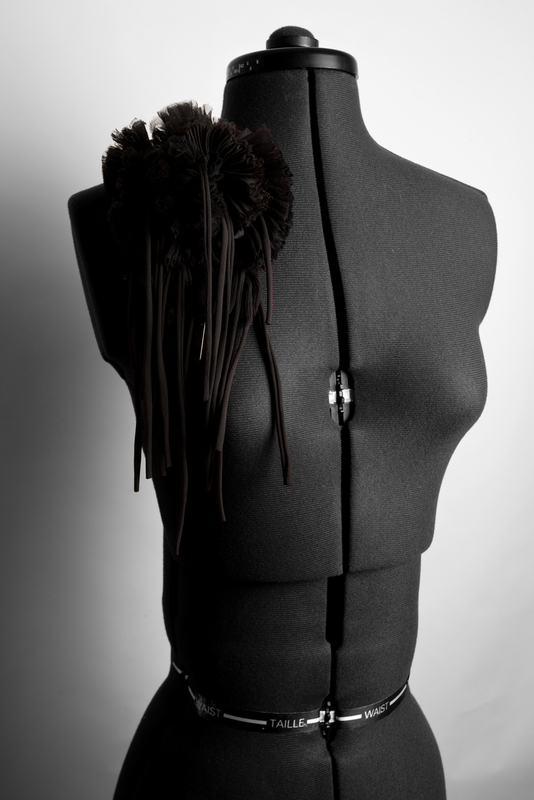 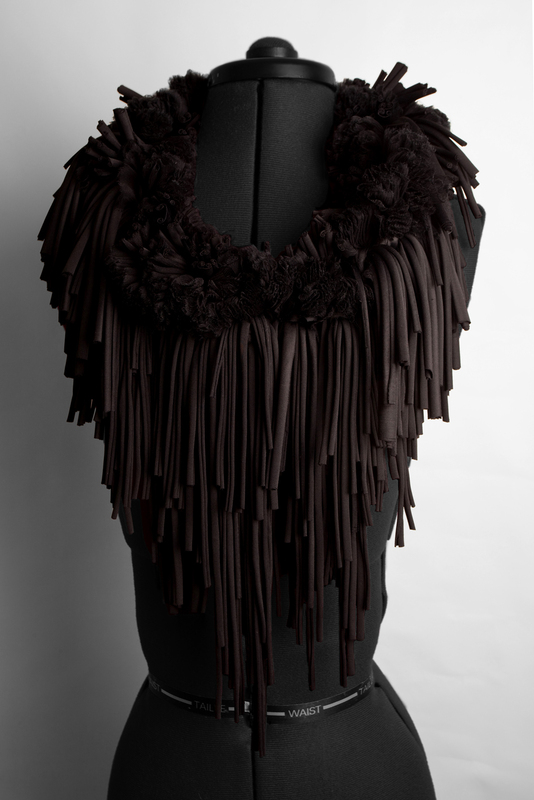 Created from various silks, hollowed and glass spheres and cashmere and alpaca wools.